Pierre Mollo has a lot of field experience; he began his career as a biologist with the construction of a lobster hatchery in partnership with fishermen in Houat. Being a teacher and a researcher, he transmits knowledge and know-how about plankton to students, professionals and the general public. He develops international cooperation (with Benin, Cambodia, Vietnam, Ukraine), and, through Brittany associations, he is engaged with various stakeholders (farmers, fishermen, shellfish farmers…) in the fields of coastal management and plankton’s preservation. 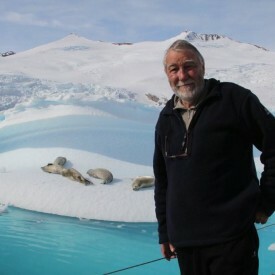 To share these collective adventures and his experience about plankton, he has directed 25 movies and videos, he has taken part into several publications and conferences, and he has created a website with OCEANOPOLIS (www.placton-du-monde.org).